Dr. Crystal Williams is a professional Psychic, Clairvoyant, Empath, and Clairaudient with over 17 years experience. 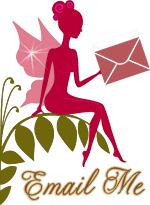 She offers Psychic, Tarot Card, Angel Card, and Palm Readings. She also offers Past Life Regression, Chakra Balancing, and more! Crystal has been tested to be 98.7% accurate. 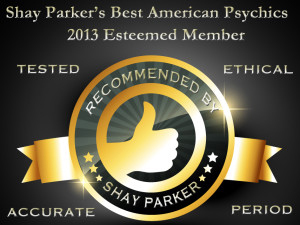 Crystal is an esteemed member of the Shay Parker's Best American Psychics where she has undergone rigorous testing and has been deemed an accurate and ethical psychic. 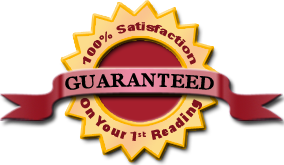 Readings are guaranteed to be accurate. If your initial reading is not accurate, she does not charge. Crystal does not ask questions, she gives you the answers you've been searching for! Proudly serving Orange County, California for over 35 years. Licensed and bonded. Call for an appointment. Dr. 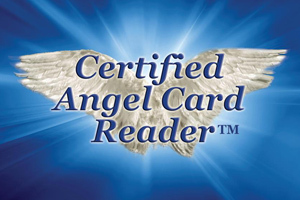 Crystal Williams is a certified Angel card Reader and has completed an intensive certification course by world renowned Doreen Virtue, Ph.D. Doreen Virtue is spiritual doctor of psychology and a fourth-generation metaphysician who works with the angelic, elemental, and ascended-master realms in her writings and workshops. Doreen is the author of more than 50 books about angels and other mind-body-spirit issues, including the best-selling Healing with Angels and Messages from Your Angels books and Angel Oracle Cards. During this course, Dr. Crystal Williams has learned to help her clients to clear and heal their fears and doubts related to old issues or emotional blocks. Dr. Crystal Williams was taught the skills to give accurate, inspirational, angel readings, to use oracle cards, to perform spiritual healings, and to work with the angelic realm. Dr. Crystal Williams is available for parties, corporate events and charity fundraisers. In the past, she has worked events for St. Johns clothing, Mac cosmetics, Louis Vuitton, Chanel, and many others.